Here is another image from last Sunday's fantastically frigid trip to Portland, Maine. 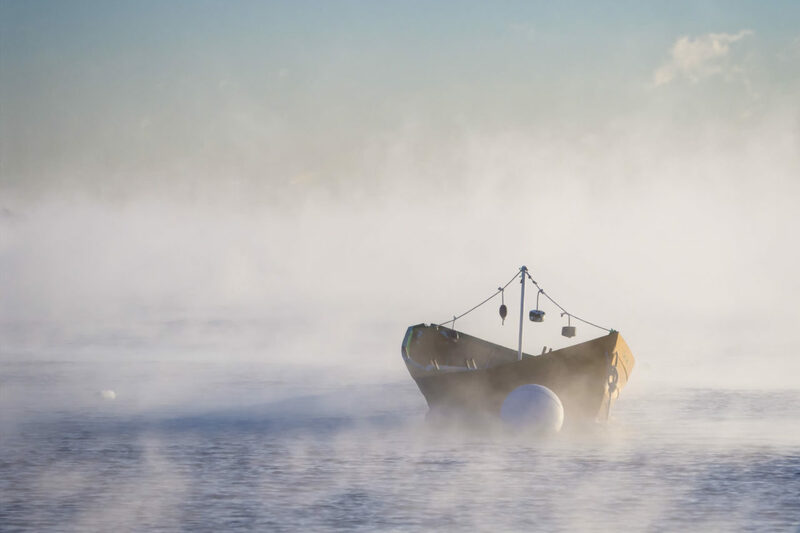 The two dories anchored off the shore of Willard Beach in the sea smoke captured my interest. In fact, more than half of my shots from that stop had the moats as the main subject of the image, and made it into the frame in most of the others. This is my favorite shot with the dory as the main subject.